Yes, it’s another animal memoir book. Yes, you’ll laugh, cry, groan, smile, and sniffle all the way through. But before you sigh and say “I can’t handle it, I know what happens at the end of animal memoirs”, let me forewarn you – and I really don’t consider this a spoiler – that the cat doesn’t die at the end. That’s right, she wrote the memoir while the animal was/is still alive, and thus ends the tale without a final death scene. Happy? I was. So now that we’ve eliminated that fear, how about the book? Wow. Yes, wow. A young woman adopts a blind (actually, eyeless) kitten that no one else wants… and it turns out to be the most intelligent, active, curious, life-loving cat I’ve ever heard of. This cat took daring leaps from the tops of furniture, loved to roughhouse with other cats and humans, hunted flies by sound (and *always* caught them), and in general, was an incredible testament to how an animal can overcome what we might see as a disability and thrive through it. 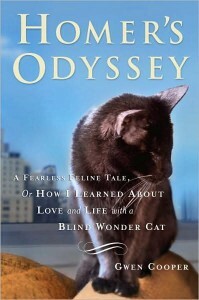 Throughout the course of the memoir, I was struck by how vibrant and full of life this little blind cat was. He never knew what it meant to see, and yet that didn’t slow him down even a tiny bit… his world was what it was, and he loved it. It comes down to this: If a little creature like a blind kitten can take what he’s given in life and make the most of it – love, live, and thrive – what can’t we, as humans do with what life doles out to us? Wow. Wow, wow, wow. Several people told me this book was amazing, and I’d even read about it months before that and thought it looked interesting, but nothing, and I do mean nothing, prepared me for how much I would learn and be awed by in this book. Every single page taught me some other incredible thing about barn owls (which I promptly shared with whoever was closest to me – I think my husband is sick of barn owl stories at this point, hah! ), and although I don’t entirely buy all of O’Brien’s philosophical speculation in the final chapters, by the end of this book (and Wesley’s life – and that’s not a spoiler, because all animal books have this at the end) I was bawling like a baby: Out of emotional attachment to the owl I’d just read about, out of a deep sense of loss for the author who’d spent 19 years with this remarkable creature, and out of a sense of amazement and wonder toward one of this earth’s creatures that I would have otherwise simply taken for granted. I strongly believe that many people have lost their sense of connection with animals and nature, and take these things for granted. There is an intelligence and personality in so many animals that we interact with or see from afar, on a daily basis, and we think nothing of their presence in our lives. 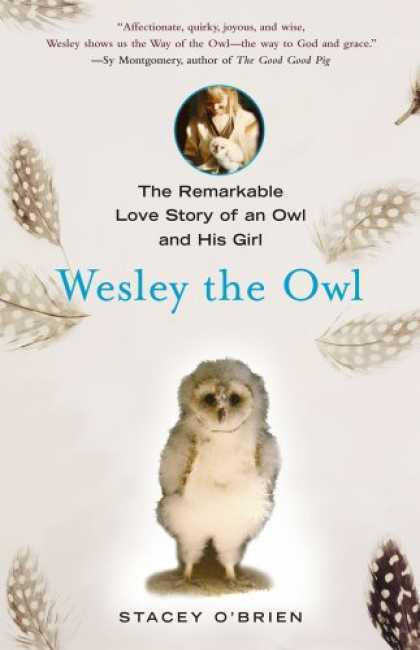 The story of Wesley the owl, and how he learned – interacted – changed – developed – LOVED – and connected with the world around him is truly stunning. You will never look at birds, owls in particular, the same way again, and I hope that this book will help others reconnect with that childlike sense of amazement of the natural world around us. 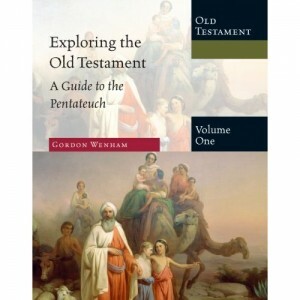 I had to read this for a course I was taking on the Pentateuch, and for once… it was actually quite an enjoyable textbook! Wenham breaks down the various aspects of each book in the Pentateuch without dwelling on minute details that bog down so many other commentaries & explorations of these first five books. He also included comparative historical detail, with reference to outside ancient literary works, and also made mention of archaeological controversies over various elements found within the text. All in all, an excellent guide to the Pentateuch for someone looking to do an overview of these five important and influential ancient scriptures. I picked this one up on a whim as I wandered through the shelves of animal books at the library, partially because it looked interesting, and partially because it looked like the shortest animal book there (and I already had a pile of other books to read). After reading it… wow. I think I would have seriously missed out if I skipped past this one, and I plan on tracking down my own copy to own. Payne is first and foremost a marine biologist, in the sense that she spent a significant amount of time researching and studying whale communications. She’s an expert on echolocation, specifically the various frequencies whales use and the ins-and-outs of the correlation between communication & behavior. So, naturally it seems a bit odd that she would be writing a book about… elephants?! 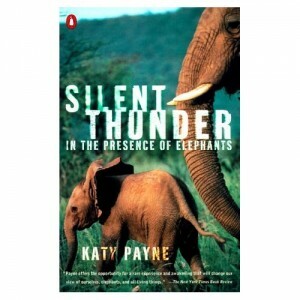 Apparently one day, Payne visited a zoo and became curious about the way elephants communicate. After some observation, she formed some theories about elephant communication – centered around, you guessed it, echolocation and frequencies beyond human hearing – and decided to conduct some tests. The rest, as they say, is history. But when the second half hit, I slowed down. While still very important to read, the material becomes very heavy in the sense that difficult issues are addressed like poaching, culling, and the inevitable difficulties with working in an African country where the local governments aren’t always as cooperative as researchers would like (not to mention the corruption in some places). Payne details several meetings with governments and conservation groups where drastic decisions are made that affect the elephant populations, and not necessarily for the better. After reading some of these sections, I had to put the book down and walk away for a bit, just to let it sit before continuing. Still, it was important to read, and I’m glad I did. I’d also have to say that the second half of the book dealt not only with the elephant studies, but also with the relationships between the people of the area, the researchers, and the animals (elephants, lions, et al). There are brief forays into ‘spiritual’ observations about the people (and their traditions) and several dreams that Payne has which relate to the animals, which seem slightly out of place, but I didn’t think they distracted too much from the core of the book. If anything, I thought it slightly intriguing that a scientist would include her spiritual experiences in a book like this, as strange as it was. On the whole, I’m very glad I read this book. I learned so much more about elephants than I previously knew, and I have a greater understanding of what people go through when they dedicate their lives to observing and studying a species in the wild. My favorite part of the book was definitely the inclusion of behavioral anecdotes, which were fascinating – I’m inspired to read more about African wildlife, and would be interested in reading more about elephants specifically in the future.